The Narendra Modi government on Tuesday defended its move to set up 12 special fast-track courts to try 1,581 criminal cases against members of Parliament and state Assemblies. NEW DELHI: The Narendra Modi government on Tuesday defended its move to set up 12 special fast-track courts to try 1,581 criminal cases against members of Parliament and state Assemblies, asking the members to rise above and set an example. Responding to the concerns raised by Samajwadi Party leader Naresh Agarwal, Congress's Anand Sharma and some others in Rajya Sabha, Leader of the House Arun Jaitley said the law makers should take the lead in setting an example. "We are lawmakers. Can we say that we have a vested interest in ensuring that our cases at least are delayed or at least be in our interest and we above suspicion," he said. He said if there are allegations, they must be tried expeditiously. "How can elected members say we have a vested interest in ensuring our trials gets delayed," he said. 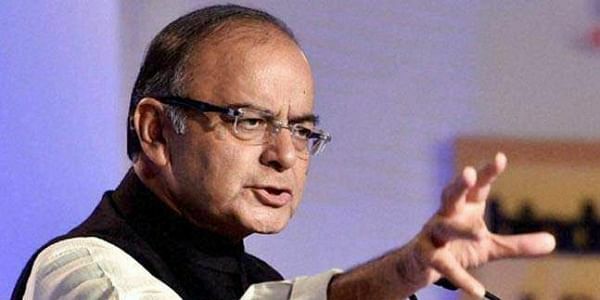 Jaitley said that it was true that hearing of cases against legislators should be done on priority basis, but at the same time, it should be applicable to the people those against whom the cases are pending for long period. Earlier, raising the matter during Zero Hour, Agarwal by making a point of order, asked the members whether it was right on the front of government to submit an affidavit for setting up special courts for MPs and MLAs. "There are no special courts for even terrorists and criminals," he said adding that setting up of special courts are against Article 14 which provides the citizens the right to equality. Sharma said special courts should be set up for expeditious trail of the general cases and government should allocate adequate fund for it. "It is not a question that any leader wishes to delay the trial of prosecution of any body who is accused of any crime. There are large numbers of citizens who are in prisons and they won't get justice from a fair expeditious trial. At the same time if a perception is created that the special fast-track courts are only for MPs and MLAs, in public perception, it is profiling and excessive vilification of elected representatives," he contended. He said in this country there are people accused of murders, rapes and other heinous crimes but no such initiative is taken by the government. "Either we respect Article 14 that is equality for all and the government should ensure that the Law Minister or the Cabinet may take a call to allocate adequate funds to set up enough numbers of courts so that people do not remain in prison for long period and trial is done," he said. Leader of Opposition Ghulam Nabi Azad questioned why lawmakers were being singled out and urged the government to come up with a scheme for fastracking court cases of common citizens also. "Law should be for everybody, legislators alone should not be singled out," he said. He also accused Jaitley of twisting the issue for political benefits. "Everything should not be given a political twist," he said. TDP member C.M. Ramesh and Janata Dal-United leader Harivansh however supported the fast-track courts saying lawmakers should set an example. Rajya Sabha Chairman M. Venkaiah Naidu said that he will give his ruling on the point of order raised by Agarwal and added that the house can also discuss the issue.